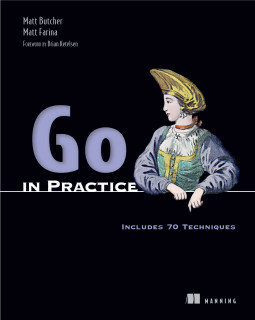 The Go programming language provides the cgo tool for calling C code inside of a Go program. At compile time, Go can even compile C code into the Go executable. One of the gotchas for using this functionality is that from within Go, you cannot execute C function pointers. I ran into this while working on Go bindings for the C BerkeleyDB library. Inside of NewDB(), we access various C symbols using the C package. Take a close look at the import "C" statement. The comment above it contains special directives that are passed through to cgo, which then uses them to compile and link the associated C code. In this case, I import the db.h header file, which contains the BerkeleyDB public API. The important detail is how the function is called: The db struct has a pointer to a function (open). As powerful as cgo is, it cannot resolve the function pointer at compile time. So what's the solution? The best route to dealing with this is to let C handle it. C functions can be embedded into the comment above import "C", or we can just add it to a separate .c file (with a .h file). Now when we call C.go_db_open(), it executes the wrapper function we defined, attaching the newly opened database file to our existing database handle. If you want to take a look at the complete code, see the PerkDB GitHub repo. AlekSi has a great compendium of cgo examples in his CGO-By-Example GitHub repo.